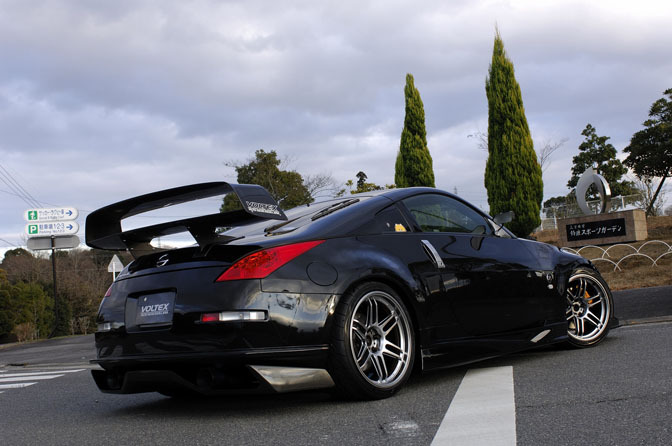 I was just browsing through the Voltex blog and found this 350Z with their latest spoiler design. I have seen them test fitting this design on the new EVO X and I wasn't very fond of how it looked. 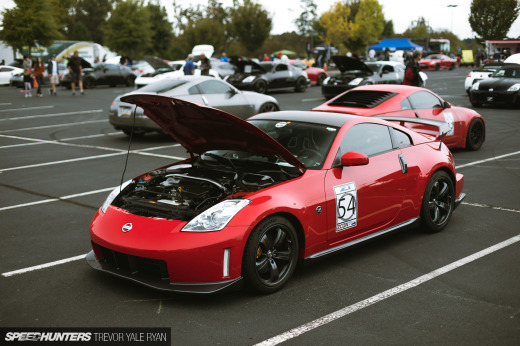 But seeing it on this 350Z has changed my mind. Those AME TM-02 wheels also help to enhance the overall look of the car, gorgeous. Ive seen it on Jay's blog the other day. I'm not a big fan of the wing for street cars (even though I'm sure it works). In my opinion the rear diffuser is enough. Usually my tastes lean more toward subtle, restrained aero, but I must admit this looks amazing!